Crisálida: Community Arts Project | The Week in Words…and a couple of fotos. The Week in Words…and a couple of fotos. 25 May The Week in Words…and a couple of fotos. My iPhone didn’t have any memory left, and my digital camera’s battery was dead, so this latest jam-packed residency in the Coachella Valley wasn’t as heavily photographed…so lets go ‘old school’ and use our words. 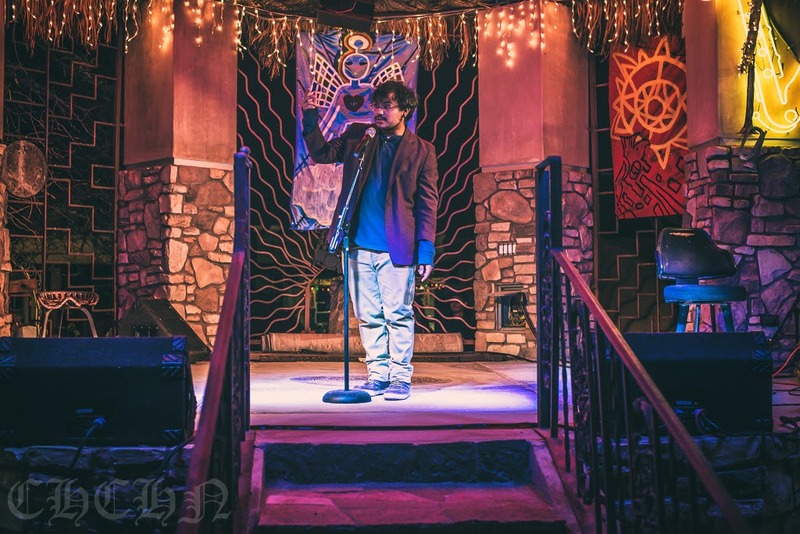 After the spectacular performance that the AMFM music collective gave the East Valley Voices OUT LOUD last week in Coachella I wanted to get a better sense of where they wanted to go with their music. We had a long and rich brainstorming session and from that have started to explore ways that they can grow their audience and share their voices throughout the entire valley and maybe even out to LA. Some cool things are in the works…stay tuned, and check them out HERE. When I attended the Virgen de Guadalupe festivities in Thermal and Mecca back in December I was taken by the richness of color, the diversity of depictions, and the drama of the rituals I witnessed. Later, in conversation with Bill Shinsky from the Coachella Valley Arts Center, we discovered that we each had a strong connection to the Guadalupe image as a conveyer of meaning – both my mother and grandmother are named Lupe, and Bill had a powerful personal experience with a depiction of the Virgen at an art exhibition many years ago. We met for lunch last week and talked about collaborating on a Virgen de Guadalupe art/performance/lecture project that will take place at CVAC in September. Artists, scholars, performers, writers, and the clergy will be invited to explore, discover, and share ideas about this most iconic and significant image. Stay tuned for details, and a call for proposals. See the CVAC website HERE. Carlos Garcia is retiring!!! 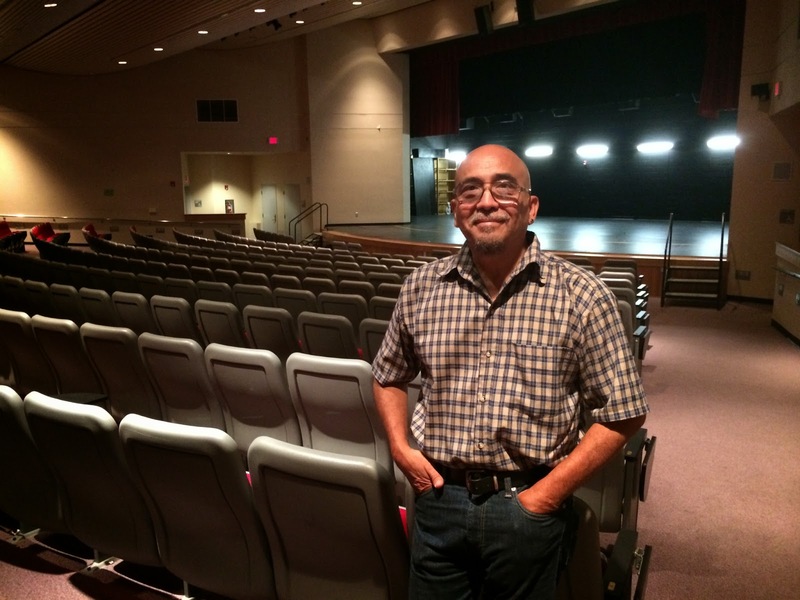 This beloved theater educator from Desert Mirage High School in Thermal will turn in his keys in a couple of weeks, then take a well-deserved break before booting up the next round of East Valley Repertory Theater activities. Crisalida is helping the EVR plan for a Ten Minute Play Festival to take place in late September. New and established playwrights will be invited to submit proposals for a two-character play set in a taqueria (taco shop). Selected plays will receive a production at the play festival. The plays can be in Spanish, English, or one of the indigenous languages spoken in the valley (such as Purepecha), and will be directed by professional theater artists. All productions will be videotaped for archival and study purposes. A series of writing workshops will be conducted during the summer to help new writers prepare their ideas and scripts. Again, stay tuned for details! Check out the EVR on facebook HERE. EVR Artistic Director Carlos Garcia. 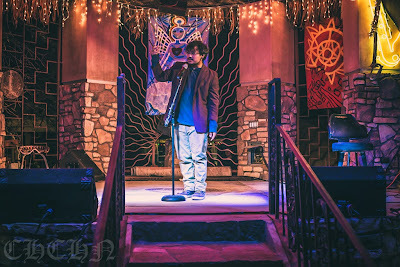 Take a look at the earlier posts about the East Valley Voices OUT LOUD event we held at the CULTURAS Rancho last week. Based on the success of that event, and the wonderful collaborations that made it possible, we are planning to have a series of other East Valley Voices OUT LOUD concerts featuring the creative voices of local residents. Please tell me if you know someone (or ARE someone) who has a special artistic gift and is willing to share it – our project is all about that. The next EVVOL will be in September – location TBA. Right…stay tuned. Every once in a while the universe answers your prayers and all you have to do is say “yes”. This was the case in meeting Moises Huerta, the new Crisalida Project Manager. During these past two weeks we have spent a lot of time together at poetry readings, workshops, auto shops, taquerias, the McCallum, at my house, and lots of other places. It’s been a steep learning curve but Moises has shown himself to be a capable and compassionate man who completely understands and supports the Crisalida mission. It is a HUGE relief to have Moises on the ground managing the day-to-day workings of the project. Whew. Moises in front of the McCallum theater last week. Every once in a while the universe…wait! Twice in one week?! Yes. It is with great pleasure that I can tell you that Oscar Guevara will be working with us not only as a visual art workshop leader, but also as Community Engagement Facilitator. One of his primary roles will be making sure that our van is used to the utmost. Oscar comes with a perfect set of skills to do this job – maturity, passion, organizational skill, automotive know-how, and a personal understanding of the creative process. Again, whew! One of the requirements of the James Irvine Foundation grant was that we build strong evaluation procedures into our process. Every once in a while…yes, THREE times! Irene Rodriguez was referred by Louisa Castrodale from the Palm Springs Unified School District, and after a 3 step interview process I have determined that she will do an excellent job in providing a clear and useful assessment of the Crisalida project. Irene lives in Coachella and has 25 years of arts administration and program evaluation experience, and currently works at the Palm Springs Art Museum. Triple whew. Murphy’s Law be damned, we did it, the Crisalida van is up and running, and traveling to a neighborhood near you very soon! We had a soft launch at the CULTURAS Rancho last week, and another showing at the McCallum Theater. Keep an eye out for our “mariposa-on-wheels”. 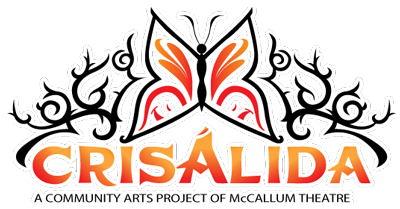 Crisalida has entered into a formal relationship with the Coachella Valley Housing Coalition to provide arts workshops and performances to low income housing projects for farmworkers and their families. Joe Mota and Nicole Sanchez have been terrific partners and I look forward to a long and fruitful collaboration with them and their property managers throughout the East Valley. Check out their wonderful programs and projects HERE. One of the first and most impactful images that came to mind when we began dreaming up the Crisalida Community Arts Project was to have young artists sit with elders, to hear their stories, and to create art works inspired by them. Sometimes dreams come true, and last Thursday was one of those remarkable days. Crisalida artist Francisco Rodriguez, brought his Praise Poem to the Las Casas housing project in Coachella to read it to Mr. Leonardo Espinosa, a veteran of 40 years working in the fields and shoulder to shoulder with Cesar Chavez. We commissioned Francisco to write the poem based on two hour-long interviews we conducted with Leonardo last month. For the special event Leonardo invited his close friends and Joe Mota, Nicole Sanchez, Minerva and Maria of the Coachella Valley Housing Coalition to sit with him as Francisco brought to life his brilliant and generous poem. There were more than a few tears…I was beaming with joy for the emotional power the experience clearly had on Leonardo and Francisco both. Snr. Espinosa listening the the poem. Francisco Rodriguez reading his poem at the Las Casas housing project community room. Y repleto de espinas esta su apellido. Guerrero de mil batallas, que se encuentra retirado. Hacia la juventud y la historia. Esos tiempos no son más. Que nació como suave brisa. Al trabajar en su país natal. Pero aun así, existía la necesidad. Que lo lleva a un mundo de sueños. Debido al trabajo en el campo. La ternura al acariciar a su esposa e hijos. Llego a estar de lado a lado con uno. Alcanzando la inmortalidad entre los campesinos. Simple, pero que puede desbaratar montañas. Una enseñanza que inspiro a diferentes generaciones.